This year, Europe’s largest and most important technology marketplace welcomed over 50,000 attendees from 166 countries through the doors of the MEO Arena in Lisbon, Portugal. Web Summit has been called “Glastonbury for geeks” and “Davos for geeks” for a good reason. The event has become known for attracting some of the tech world’s superstars, from the Twitter founder, Jack Dorsey to Tesla’s Elon Musk. In just six short years, Web Summit has grown from a small event of 400 attendees to Europe’s largest web conference with over 50,000 people. Has any other tech conference grown this fast? 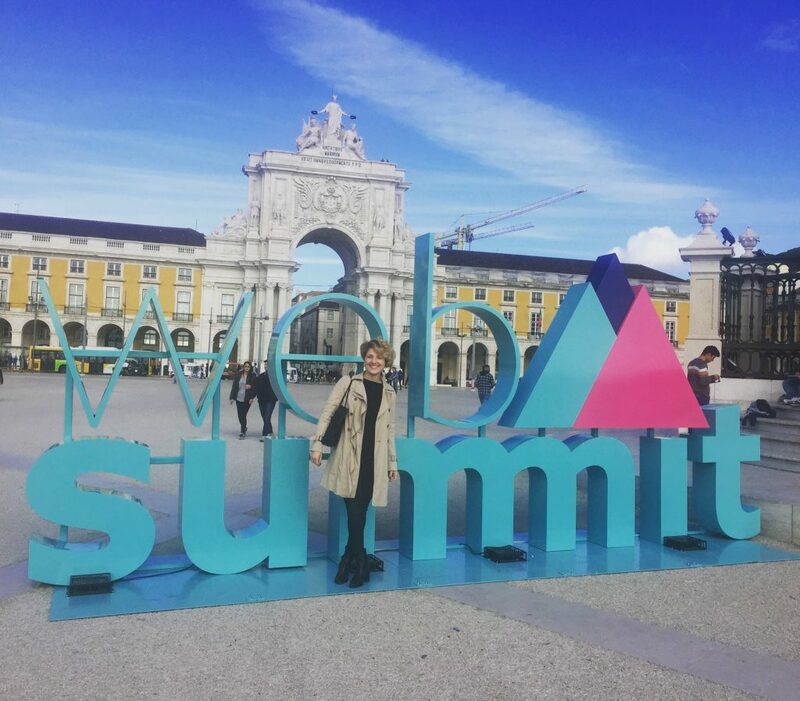 I had a chance to attend Web Summit Lisbon, which this year, was held from the 7th until the 10th of November. And now I will share with you the best takeaways and the brightest moments I was able to experience. 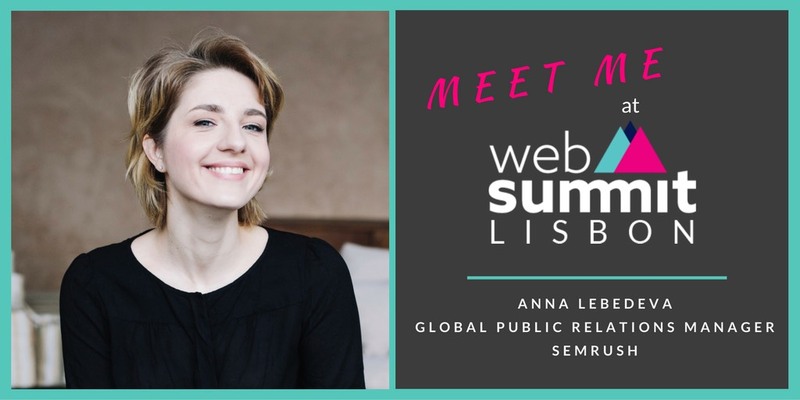 In September 2015, Paddy Cosgrave, the Web Summit co-founder and CEO, announced a new chapter in the Web Summit story, saying that in 2016, the conference will be held in Lisbon. He explained that the decision to move the conference from Dublin is the next step towards international growth. For the few days it was held, the MEO Arena was transformed into a large exhibition area with seven separate stages and a meeting place for startups. Web Summit began on Monday evening, followed by the first full day of the conference on Tuesday. This year, around 6,000 Student Scholarship tickets were distributed among Portuguese students and 10,000 tickets for Women in Tech. This initiative was intended to attract more women to the event, since in the previous years, only a few women attended. Many women joined the Women in Tech group on Facebook, where they could make new connections and take part in discussions even before the event. The organizers created a Women in Tech lounge, where women could meet with each other. The event brought together world-class speakers, promising startups, international media, and tech investors from all over the world. People from all sorts of backgrounds gathered together to network and share their ideas, their vision of the future, their enthusiasm, and their passion. It was exciting to see so many startups showcasing their work and pitching for investment. The startups ranged from early-stage and growing to established and well-known companies. To be precise, there were two types of startups: ALPHA startups which had ideas but not necessarily working products, and BETA startups with already working products on the market with a primary focus on marketing and promotion. Special PITCH stages were set up for the startups looking for investors, where they could talk about their products and services as well as answer questions. This year, Kubo Robot was crowned the Web Summit PITCH 2016 Winner. Kubo is an educational robot for children that introduces them to coding and programming. The event didn’t end in the evening. The organizers brought the networking experience to the streets of Lisbon at Night Summit. A large number of attendees gathered together in the evening meetups and pub crawls to communicate and explore particular parts of the city while getting dinner and drinks. Organizing your own meetup during a conference is a great way to bring together people who share the same interests and can establish your company or you as a “go-to” source in your industry. On the first day of Web Summit, SEMrush organized a meetup for everyone involved in online marketing who was interested in exploring current marketing trends and meeting old and new friends in the industry. This meetup was an excellent opportunity for us to meet and chat with our target audience over a nice glass of Aperol Spritz. If you want to plan and organize a meetup during a conference you’re going to attend, follow our example! Here’re a few effective tactics to make your meetup successful. 1. Pick the right time. Make sure that your meetup’s time doesn’t compete with other meetups. The first full day of Web Summit was on Tuesday, so we decided to schedule our meetup on Monday evening before the beginning of the pub crawls when people who have already arrived at the conference had some spare time. Most importantly, make sure that your target audience will be at the conference during the time you plan on hosting your meetup. 2. Pick the right venue. Once you decided when you will be hosting your meetup, you need to tell people where to meet. It’s better to choose places in central locations since most people stay in the city center. Make sure the place you’ve chosen provides enough space for your guests. 3. Provide event photography. Don’t forget to find a professional photographer for your meetup. After the event, you’ll be able to post your photos on social media and tag your guests. 4. Invite people early. Make sure you invite your guests well in advance. Try to get on their calendars as soon as possible so that they can set aside a time for your meetup. Planning and organizing a meetup can be a lot of work, but it’s definitely worth it. During the event, I attended only nine speeches, because I was focused on meeting as many people as possible. All talks were short – about 20 minutes, so it was easy to make many connections. Besides tech executives and entrepreneurs, there were also some well-known names outside the technology world on the speaker list, such as Joseph Gordon-Levitt, Ronaldinho, Luis Figo, Ne-Yo, and Lily Cole. Attendees had a chance to listen to many interesting talks that inspired and gave a fresh look on all current happenings in the tech world. 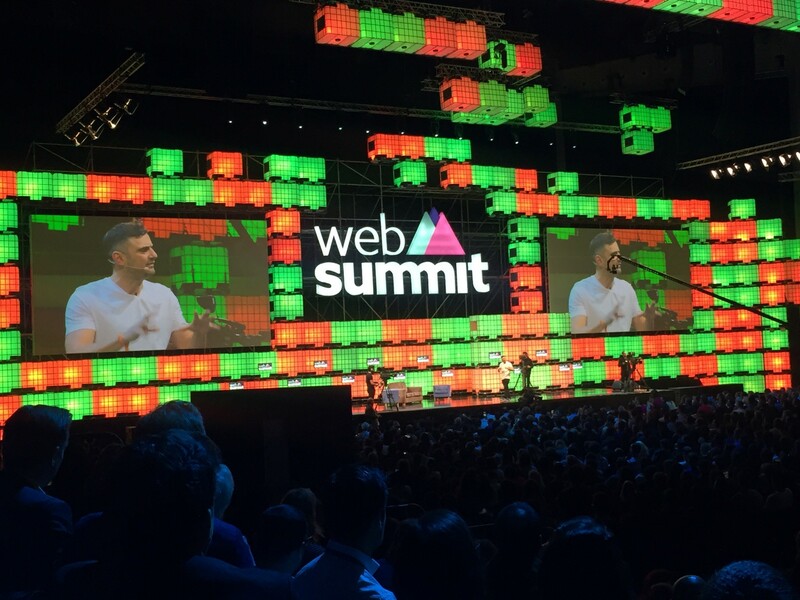 Here are the four important trends we can take away from Web Summit. AI is redefining the future of the workplace. Many of the speakers dedicated their talks to how artificial intelligence will change the future and the human role in it. Among the key opportunities that AI provides are optimization and personalization in areas such as programmatic marketing, customer service, and demand-prediction retail. Big data is one of the top concerns. If you’re not paying attention to your metrics, you’re missing out on generating beneficial insights. You need to perform data analysis in order to have a dialogue with your customers. Also, some speakers mentioned that businesses can no longer rely on the current standards of data privacy. The user’s security is a top priority. Video content keeps on growing. According to Cisco, 82 percent of consumer Internet traffic will be video by 2020. An increasing number of companies are beginning to create interesting and valuable videos for their clients. Augmented reality will surpass virtual reality. A panel of 4D technology experts agreed that augmented reality (AR) will become the main trend with devices like the Microsoft Hololens that stack multiple layers of holographic reality over the real world. What really impressed and motivated me – I believe, as well as many other listeners – was Gary Vaynerchuck’s incredible speech “Afraid to fail because of other people’s opinions?” As always, it was a bit daring, yet very energetic and inspirational. 1. We’re living through the generation of fake entrepreneurship. We live in the greatest era of fake entrepreneurship. People who never sold anything or built a business have decided that they are entrepreneurs. Instead of building an actual company and focusing on the current financial needs, the only thing they care about is how much money they will make in the short run. 2. Advertisers need to understand the value of each person’s time. We live in the greatest shift in human communication since the printing press. We have technology that allows us to text somebody instead of calling them. People now, don’t like when someone gives them a call. We tend to prefer others leaving a message, so we can call when we have time. “Don’t call me on your time, I’ll call you back on my time,” Gary said explaining the way people think today. People place a high value on their personal time, and that means the days of ads stealing somebody’s time is over. Advertisers need to take this into consideration. 3. Attention matters. The way we need to use storytelling is based on attention. Mobile is now television and television is now radio. Facebook, Instagram, and Snapchat are now ABC, NBC, and BBC. No matter who you are, you need to figure out how to make the best shows on these networks. 4. Content creators need to be documenting, not creating. Instead of creating, we need to start documenting our journey. We’re all media companies. With all the available technologies that allow us to share live videos with others, we can and should document content, not create it. We have it right in our hand. We live in the greatest era: for the first time, with practically no money, mobile can put you on the map if you’re good enough. 5. Self-awareness is now very important. You have to know who you are and what you are built for. Not everybody has to be number one. We’re shy and worried about what other people are going to think about us. But fear is not an option if you’ve raised your hand for entrepreneurship. You have to deal with reality. The reason why many people are not doing what they want is that they’re afraid of failure. I’m not going to do a thorough review of how Web Summit 2016 was organized, but I still want to point out what I liked and didn’t like about the event. Registration at the airport. The Web Summit organizers came up with a brilliant idea. Predicting that there would be over 50,000 attendees, they decided to make a registration point at the airport. People didn’t have to wait in big queues to register because they were arriving at different times. The Web Summit mobile app. The organizers provided web and mobile apps for the conference. The app’s functionalities included a schedule builder and a chat interface along with many other things. The app helps you find and contact people who share the same interests with you. Pub crawls. The Web Summit pub crawls have become an annual ritual at the conference for a large number of participants. These pub crawls allow attendees to meet in informal surroundings and make new business connections over dinner and drinks. People from all over the world. This year Web Summit welcomed over 50,000 attendees from 166 countries and around 2,000 international media reps.
A big queue to the opening keynote. The conference started on Tuesday; on Monday there was an opening keynote. People had to spend the majority of their time standing in a big queue. Bad community meeting agendas. Every night of Web Summit, there were community meetings, which would have been a very good idea if it had worked properly. Unfortunately, the meeting agenda was poorly written. Without a well-organized, comprehensive agenda and a list of people you want to meet, your visit would be limited to listening to speeches. Web Summit is a huge meeting place for technology professionals from across the globe who are united by their energy and a strong passion for the web, knowledge, and entrepreneurship. For me, it was an interesting experience and a great opportunity to meet new people and powerful minds in the tech world. But this event is beneficial only for those who clearly understand why they’re going to attend the conference and whom they want to meet there. Web Summit is a highly business oriented event with a large number of attendees. Most of the attendees want to learn how to find new clients, business partners or investors, how to run their businesses, and how to come up with new ideas for their startups. So it’s very difficult to accidentally come across top speakers, media, and other heavyweights in the tech niche at the event. Before attending an event like Web Summit, you need to create your own agenda, figure out whom you want to meet there, and contact those people. Top speakers and influencers are very busy. It would be very difficult to talk to them at the event unless you plan your meeting as soon as you can. You definitely don’t want to limit your experience at Web Summit to just listening to speeches, which sometimes repeat from one conference to another. Therefore, it’s worth planning ahead of time.